VGA (Video Graphics Adapter) and HDMI (High Definition Multimedia Interface) are two video standards that are being used in the world today. The primary difference between these two is in the format of the information that it conveys. VGA is an analog standard while HDMI is a digital standard. They also comes with the advantages and disadvantages of each standard. VGA is very old and was created by IBM for their computers. Many of the PC manufacturers conformed to VGA and pretty soon, it became the standard for all personal computers. HDMI, on the other hand is relatively new and was developed by a group of electronics manufacturers to create a new standard for transmitting digital signals between different devices. This was very important, especially with the advent of high definition TV sets and media players where the current analog standards like VGA or composite cannot perform at acceptable levels. Because VGA was developed with only the transmission of video signals in mind, it can only accommodate a single video signal and nothing else. This means that any other signal would need another cable to pass. 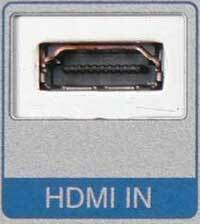 HDMI is much more capable as it was developed to carry signals between an HD TV set and a set top player. It can carry a video signal, up to 8 channels of digital audio, and a CEC channel for communication between devices. It is very convenient as you would only need one cable to connect to devices instead of 3 to 8 cables. Ben Joan. "Difference Between VGA and HDMI." DifferenceBetween.net. January 9, 2018 < http://www.differencebetween.net/technology/difference-between-vga-and-hdmi/ >.